Enrique Iglesias appeared at the Houston Rodeo on MARCH 6, 2012. With more than 100 million records, Enrique Iglesias is one of the most successful Spanish language artists of all time. He has 16 Billboard Music Awards, 23 Billboard Latin Music Awards, five American Music Awards, a GRAMMY, a Latin GRAMMY and seven World Music Awards. 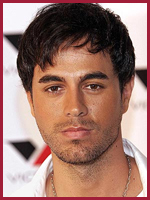 Houston Rodeo Tickets Online is your source for Enrique Iglesias tickets and all your entertainment needs. Order tickets online . Not affiliated with the Enrique Iglesias Official Site.